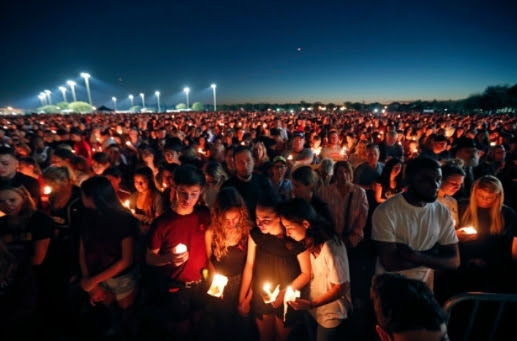 Sunshine State Counseling Center and the Broward County Crime Commission are deeply saddened about the horrific tragedy that occurred at Marjorie Stoneman Douglas High School in Parkland, Florida, on Wednesday, 14 February 2018. Our condolences are with the families of the victims, as well as those who have suffered injuries. Reassure children that they are safe. Emphasize that schools are very safe. Validate their feelings.Explain that all feelings are okay when a tragedy occurs. Let children talk about their feelings, help putthem into perspective, and assist them in expressing these feelings appropriately. Make time to talk. Let their questions be your guide as to how much information to provide. Be patient.Children and youth do not always talk about their feelings readily. Upper middle school and high school students will have strong and varying opinions about the causes of violence in schools and society. They will share concrete suggestions about how to make school safer and how to prevent tragedies in society. Emphasize the role that students have in maintaining safe schools by following school safety guidelines communicating any personal safety concerns to school administrators, and accessing support for emotional needs. Maintain a normal routine. Keeping to a regular schedule can be reassuring and promote physical health.Ensure that children get plenty of sleep, regular meals, and exercise. Encourage them to keep up with their schoolwork and extracurricular activities but don’t push them if they seem overwhelmed. If you think your child needs counseling support in dealing with this tragedy or if you have further questions or concerns, please do not hesitate to contact your child’s school counselor or school principal. Sheriff Rambosk and I feel the public can help keep schools safe by reporting any suspicious or unusual activity to law enforcement. Anyone with information should call 239-252-9300 or to remain anonymous and be eligible for a reward contact Crime Stoppers at 1-800-780-8477.